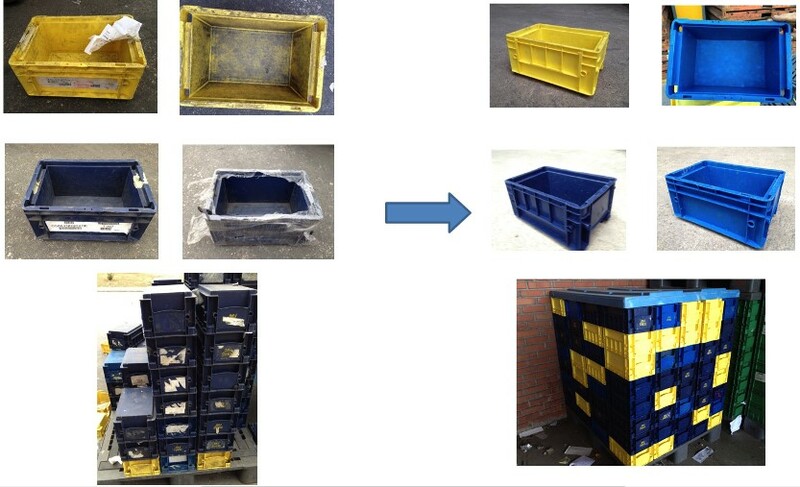 EKO Industrial brought a breakthrough innovation for the cleaning of crates in automotive industry. 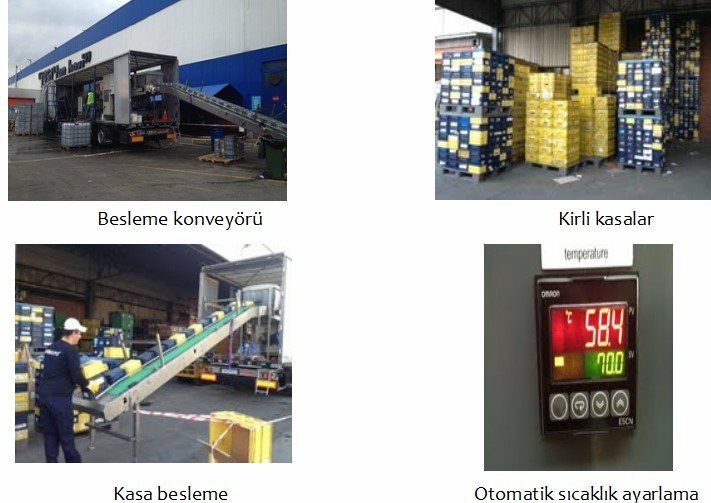 EKO Industrial partnered with a leading European crate washing company to create a mobile system that enables washing of automotive crates at the premises of its customers. With this system not only transportation cost is eliminated, but also operation became much more easy by delivering cleaning service in a matter of minutes instead of days. The mobile system operates at 130 bar pressure which makes a top level cleaning and removes all the stickers and oil out of the crates. This is a unique application and design especially to meet requirements of the automotive industry. 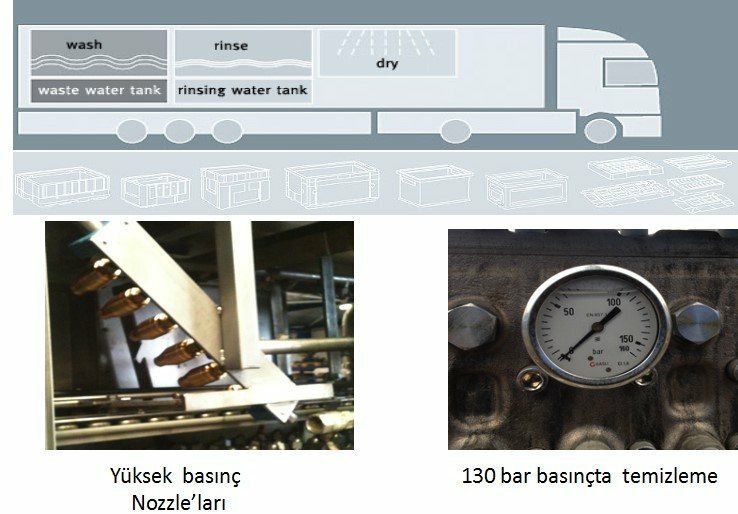 Depending on the need of the customers, our mobile system can give service at a static location at Gebze Industrial Zone. In order to create synergies EKO Industrial made a strategic alliance with Karsan-Mete Group and has been delivering its service through this company since 2015.